This is my first ever piece from Henri Bendel and I am soooo in love! To be honest a coin purse is not an essential item that one needs in their handbag, but I tend to lean towards the extra :). The round coin purse from Henri Bendel is made of saffiano leather and has gold toned zipper closure. 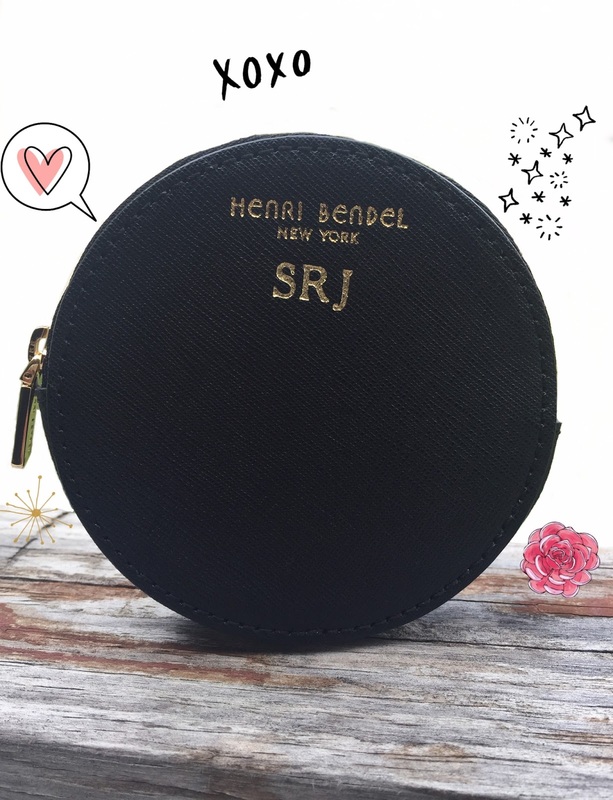 Henri Bendel allows for the option of having the coin purse monogrammed, I chose to have my full initials added to the coin purse. When I received my order I was super impressed by the packaging and presentation, A+ to Henri Bendel! 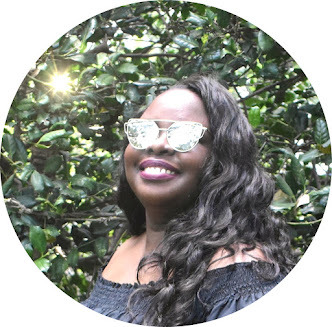 I agree with Henri Bendel's description that this luxury handbag accessory is a fashionista find! I'll add that for the frugal fashionista's out there the $48 price tag is a sweet deal compared to the more famous and pricey round coin purses out there. 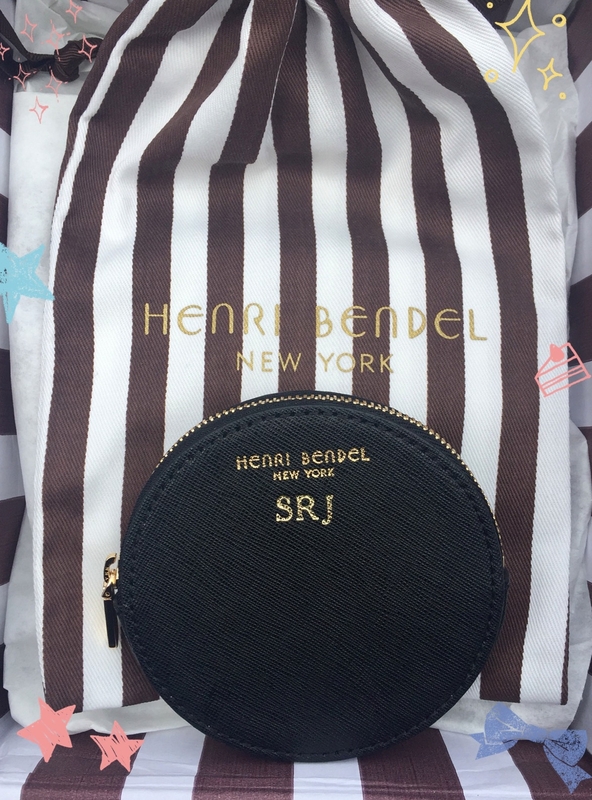 Have you ever bought anything from Henri Bendel?